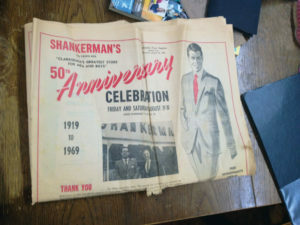 Shankerman’s men’s wear store has been the ‘King’ of Clarksdale businesses for the past century, and rose to that level with the mentality of service. Beginning in 1919, Floyd Shankerman’s grandfather and then father ran the business. Floyd has been part of it for the past sixty years and he’s continued to use the simple business ethics they taught him to keep the doors open and customers happy. 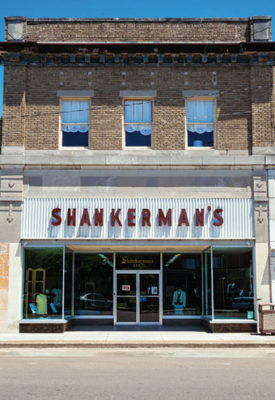 Before taking over the store, Shankerman was a student at Delta State and was a pitcher for Coach Gene Chadwick on the Statesmen baseball team back in 1958. “Boo Ferriss came in the year I left. I have a lot of respect for him and he used to come up and see me even though I didn’t play for him,” he says. Back in 1919, Abe Shankerman got off the train in Clarksdale to stretch his legs. 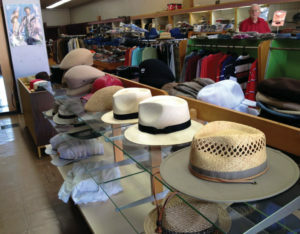 He liked what he saw and after visiting relatives in Greenville he made his way back to Clarksdale and started the iconic business, first as a tailor shop before morphing into a full-scale men’s wear store. His son, Phillip, came down from Cincinnati at the age of twenty-three and worked in the store until he passed away in 1985. 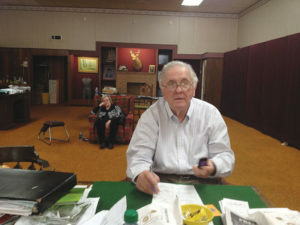 With plenty of merchandise and much more, Shankerman’s has been an anchor in the Coahoma County community. Shankerman enjoys singing and has been a life-long Elvis fan since the King’s epic early career performance in Clarksdale. “I saw him perform four times. When he first walked on stage here, people laughed because they’d never seen anything like that before. But when he got through the concert nobody was laughing I assure you,” Shankerman says.